Yes, yes! A thousand times yes. 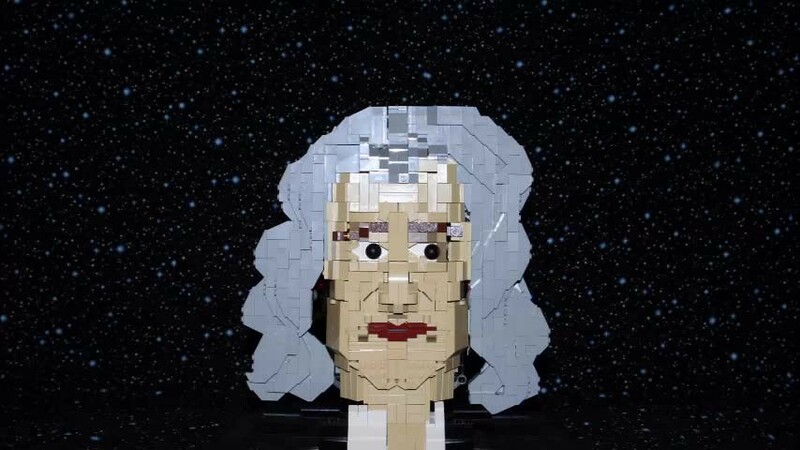 We thank you VAkkron, for this video delight, starring the disembodied head of Isaac Newton. I have not laughed so hard at a Lego related clip in a very long time. Not only is the bust a great build, but there is something wonderfully low-budget about the presentation, it reminded me of the old music video for Peter Gabriel’s Sledgehammer” or the opening sequence of MST3K. I was one of the lucky ones to see this build take shape and I must congratulate the builder on his ability to embrace constructive criticism, even in the face of a catastrophic drop and the necessity to completely re-work the entire facial structure. After all the talk on the blog about the value of criticism, it was nice to see a builder really embrace it with a trusted crew of homies who had no other interest but seeing the builder succeed. It was fun to be a tiny part of that process and watch the model develop. Although I had some early access to the model, there was no indication that a video presentation was in the works. I think I’ve played it a half a dozen times already and I keep imagining it with other songs; it must have been difficult to settle on just one. Don’t get me wrong, VAkkron made a fine selection, but indulge me for a moment, and try it with a little Sledgehammer in the background, you won’t regret it. It’s just the video for now, but photos of the build will be posted soon to the usual haunts. Isaac Newton is far and away VAkkron’s most challenging work to date and it’s always great to see a builder really lean in and take on a challenge. I hope the metrics ultimately reflect the quailty of this effort. I’m all about the numbers…I’m shallow like that.